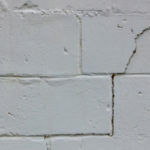 Toronto bricks crumble and spall for a variety of reasons, most of which point towards moisture and water infiltration. 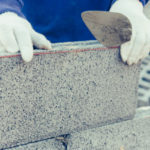 You can protect your bricks from crumbling by adding proper drainage, checking for early signs of damage and properly cleaning and repairing bricks. Crumbling or spalling bricks are classified as deteriorating to the point entire chunks of brick and mortar are falling from the structure. Crumbling bricks generally feel soft to the touch, a sign they have been broken down by moisture. In order to protect bricks against crumbling, it’s important to understand what causes this level of deterioration to happen in the first place. -Water consistently hitting bricks from direct driving rains. -Water spilling over bricks from poorly placed gutters, downspouts or roof surfaces. -Bricks that touch the base of the home will collect moisture from ground surfaces, eventually leading to deterioration and spalling. For the most part, bricks should be kept 6-inches above grade. Only certain types of bricks are made to sit at grade-level. Using the wrong type of brick at grade-level will quickly lead to the development of soft crumbling bricks. A clear sign that this is the case is if all of the bottom bricks are spalling and in bad shape, but the bricks higher up on the wall are in good condition. -Water vapor in the air that enters through masonry and remains trapped within the walls. -Improper sandblasting or pressure washing of masonry surfaces. -Using a non-breathable sealant that traps water inside of the wall. Since brick is a porous material, people often add non-breathable sealant in hopes of keeping water out. This might sound like a good idea in theory, but it actually backfires by not allowing water trapped inside a way to get out. Plus, any water that does find a way in will remain trapped inside. Moisture is the number one convict in regards to deteriorating brick walls. When water constantly passes over surfaces it slowly deteriorates brick. Even worse is when water becomes trapped inside of brick structures and then goes through freeze and thaw cycles during Toronto’s winters. Since water expands when it freezes, it creates pressure that breaks down the wall and eventually pushes entire chunks of brick loose. -The amount of moisture present. -The porosity and permeability of the brick. For instance, some bricks are uniform in density, while other bricks are hard on the exterior but softer on the inside (think of a loaf of bread as a good example). Once the tough outer shell is penetrated, it doesn’t take much time for the soft interior to break down. -The amount of times freeze and thaw cycles take place. The more freeze and thaw cycles, the more pressure a wall must endure. -Do not allow just anyone to clean your bricks. Many methods such as sandblasting or pressure washing can cause serious damage to brick surfaces. -Do not apply non-breathable sealants. -Add drainage as necessary. Good drainage systems should detract water running over bricks as well as keep water moving away from your home and foundation. -Check your bricks on a regular basis for any signs of mortar damage. Before bricks start to come out of place, you will notice loose and crumbly mortar joints. -Look out for any areas that are consistently moist. 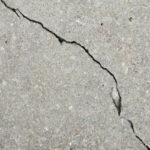 The frequent presence of moisture will lead to crumbling and spalling if the underlying issue is not addressed. 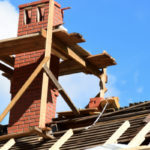 -Hire a trusted and reputable professional to repair brickwork as soon as possible in order to prevent the problem from increasing in severity. -Rely on Turnbull Masonry to repair, construct or rebuild your brick walls, chimneys, patios and more. We vow to provide superior and long lasting results for both new and historic masonry. 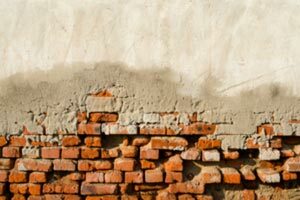 Can You Fix Spalling & Crumbling Bricks? The appropriate measure to fix crumbling bricks has a lot to do with the severity of the damage. It’s best to fix the problem at the first sign of crumbling bricks, the longer you wait the worse the problem becomes. In most cases, spalling brick is removed, cleaned out to the proper depth, and then refilled with a matching mortar and new bricks. In some instances, turning the brick to face the opposite direction so that the backside of the brick now faces forward, allows you to reuse the same brick and save money on materials.